Paris – World Jewish Congress Jewish Diplomats met in Paris yesterday to launch the UNESCO Diplomacy Project to combat anti-Semitism and the UN body’s anti-Israel bias. Members of the flagship diplomacy program of the World Jewish Congress (WJC), the WJC Jewish Diplomatic Corps (JDCorps) launched the UNESCO Diplomacy Project to develop long-term relationships with key delegations to UNESCO in order to further WJC’s advocacy goals when it comes to UNESCO including combating anti-Semitism, promoting Holocaust education, and ending the UN body’s anti-Israel bias. In Paris the WJC Jewish Diplomats were briefed by Mr. Joseph Moustaki, Chargé d'Affaires at the Permanent Delegation of Israel to UNESCO on Israel’s work, perspective and relations with UNESCO and by Karel Fracapane, Senior Project Officer - Division for Inclusion, Peace and Sustainable Development at UNESCO on the programs conducted by UNESCO on Holocaust education and combating anti-Semitism, including WJC’s contributions to these initiatives. 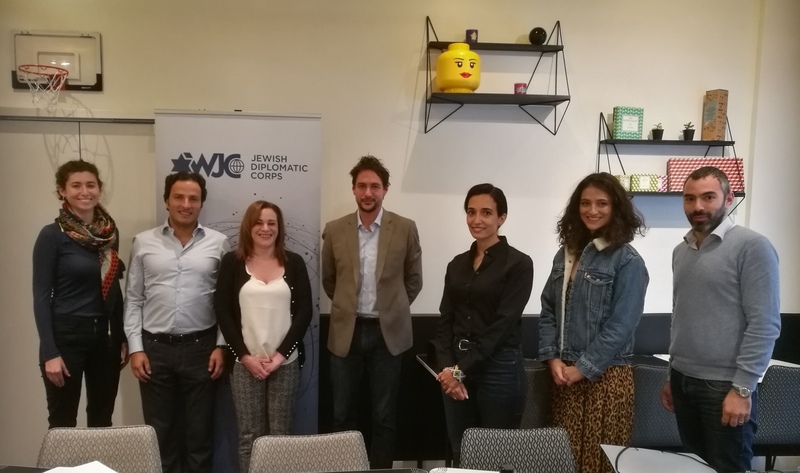 The WJC Jewish Diplomats also received briefings by Lauren Rose, WJC Representative to UN in Geneva and UNESCO, and WJC JDCorps Coordinator Gabriel Rosenberg, on WJC cooperation with UNESCO, WJC policy and positions, and on how to prepare for and execute the UNESCO Diplomacy Project. The WJC Jewish Diplomatic Corps is eager to take on the challenge of advocating for important issues concerning Jewish communities worldwide at UNESCO.